For as long as I can remember, I always had two Christmases. Like so many people celebrating Christmas on Dec. 25, we had gifts under the tree, lights strewn across our porch, and stockings hung on the fireplace. The actual holiday was always marked by an abundance of food, so many extended family members I couldn’t even count, and watching classic holiday movies such as A Christmas Story and Home Alone. We ate, drank, ate again, and eventually fell asleep on the sofa as the credits rolled on the screen. It was my family’s fun, carefree, “American Christmas.” The one where we could be like everyone else, and I imagined similar scenarios playing out in homes across the country. However, 10 days after Dec. 25, we did it all over again. There is no clear date given in the Gospels for the birth of Jesus. And up until the fourth century, Christians celebrated the occasion on Jan. 6. The Roman Catholic Church eventually changed the date to Dec. 25 as a way to replace pagan festivities that became associated with the former date. Armenians, however, were not part of the Roman Empire and for thousands of years, have continued to celebrate the Nativity on Jan. 6. The day is now known as the Feast of Theophany or Three Kings Day. 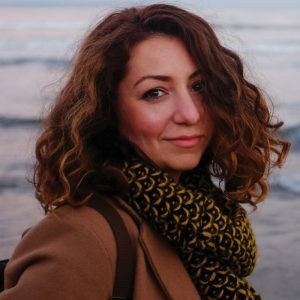 I was born in Iran to parents of Armenian descent and as the country plunged into war after the 1979 Iranian Revolution, my family made the decision to leave. 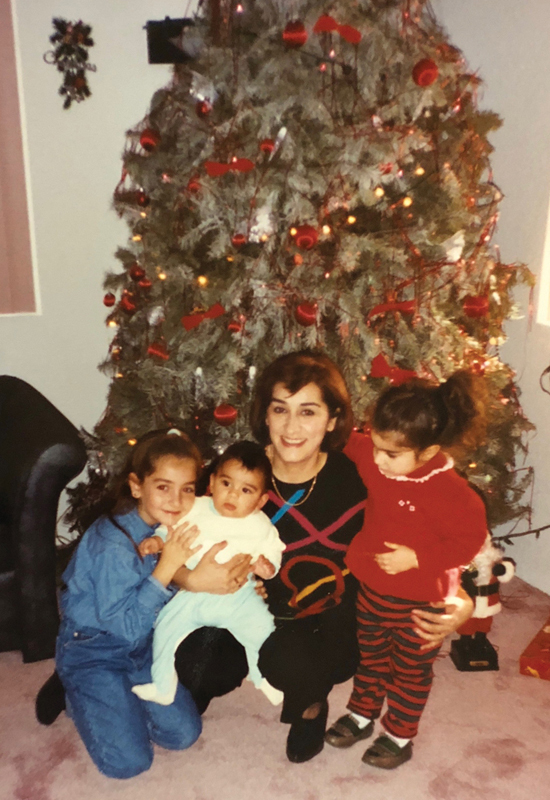 We soon found ourselves as newly minted refugees in southern California, where a sizable Armenian and Iranian diaspora was starting to form. We worked on restarting our lives while attempting to learn the intricacies of American culture, like the astonishing proliferation of fast food chains, and the Sunday obsession of watching a different version of “football” we had never heard of or seen. From a very young age, I realized there were many defining factors that set my identity apart from friends. Food was an obvious one. While many of my classmates indulged in meals such as peanut butter sandwiches and the iconic 1990s sugary juice known as Squeezit for lunch, I ate stuffed grape leaves and drank cardamom tea. I unsuccessfully lobbied for the sweet drink on every trip to the supermarket with my mom. The language I spoke — Armenian spattered with Farsi — also remained a difference, and while English eventually trickled into conversations around the dinner table, the former two never went away. And then there were my two Christmases. On Jan. 6, we still gathered in the same way that we did for American Christmas — the family and the food were plentiful, but the mood was more reflective. The food more ritualistic. 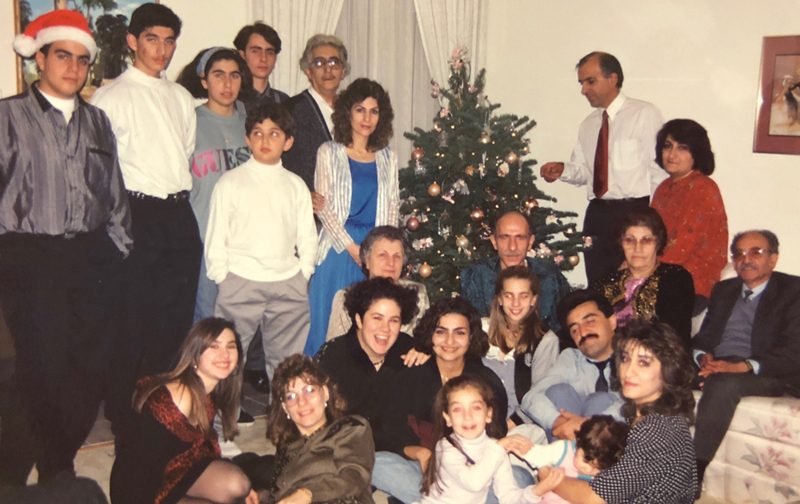 For the most part, we only ventured to church for baptisms and weddings, but the Armenian Christmas reflected our ties to a religion that had been part of our history for close to 2,000 years. My parents would excuse me from school for the day. I dreaded having to explain to classmates and teachers why my family insisted on redoing the birth of Jesus when, to them, it had already been celebrated. But my Armenian Christmas tied me to a place that my classmates didn’t know about. A place that our school books certainly did not cover. Three King’s Day is steeped in immense and ancient history, and one that the rest of the Christian world once followed, too. On Dec. 25, we would immediately dig into the honey-glazed ham we’d eventually learned to love, and devour peppermint bark, which tasted a world away from the baklava, nougats, and bowls of nuts and dates we usually had for dessert. Whereas, on Jan. 6, we wouldn’t dare eat until one of the adults recited a prayer in Armenian. Pieces of unleavened bread — blessed at an Armenian church in Los Angeles — floated to the bottoms of everyone’s cups, which were filled with a sweet blend of red wine and Coca-Cola. It was only after each individual glass was clinked that the evening could begin. My second Christmas was also just as much an expression of my Iranian identity as it was my Armenian one. 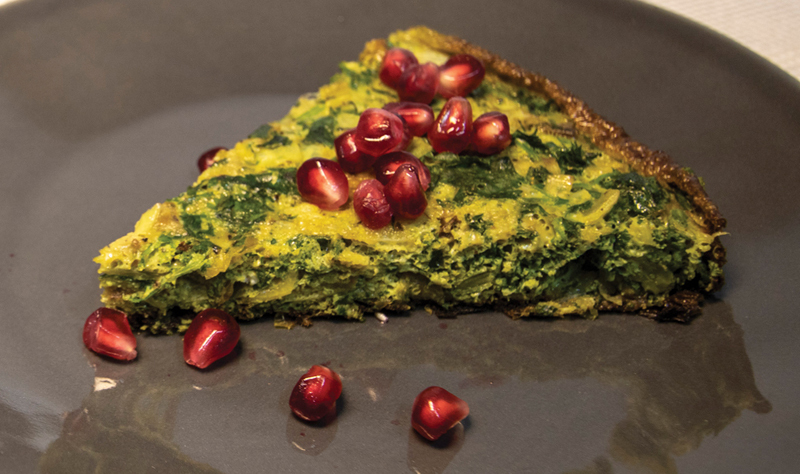 Much like the meal many in Iran eat for Nowruz — the New Year celebration, which also marks the beginning of spring — for our Armenian Christmas, we ate salty white fish, fluffy rice with an irresistible crispy crust called a tahdig, and an herb and egg quiche called kuku sabzi. I looked forward to eating the traditional Iranian dishes for my Armenian Christmas. Much to my disappointment as a kid, we did not exchange presents on either Christmas — that was a treat reserved for New Year’s Eve, a common practice across the Middle East, which unintentionally served as an objective middle ground between the two Christmases. Anoush abour, a sweet pudding, and gata, a pastry, both often served during Armenian Christmas celebrations. Growing up in the U.S. as an immigrant, much less from a family who started their journey in this country as refugees, is a difficult balancing act. It presents contradictions like not being able to use ancestry.com to find a paper trail of your ancestors while knowing the thousands of years of history encompassed in your family tree by heart, or not realizing just how American you really are until you travel outside of America. I spent a long time trying to figure out how my multiple identities fit into my life on my own terms, without letting other people’s perceptions weigh me down. My two Christmas celebrations reflected this often challenging experience for me perfectly — the 10 days between them were tinged with the kind of tension so many immigrants experience as they navigate a reality with different, competing worlds, none of which they manage to master fully. As an adult, I’ve realized that celebrating both holidays has always served as a reminder that I never had to replace one with the other. That they could exist and be celebrated together, and that when combined, wholly encompassed who I was. Every year, I look forward to participating in both. On Dec. 25, I put up a stocking and appreciate where I am, and 10 days later, I say a prayer, and am reminded of all that I come from.